Love it or hate it, the Call of Duty series is certainly one of the most popular and best-selling in video game history. And Black Ops III could certainly be another massive hit for publisher Activision – after all, its predecessor Black Ops 2 made a whopping $500 million (£322 million) on its first day on sale. And while these games feature great cinematic campaigns, in which the U.S. military has to deal with threats like the overambitious military corporation of Advanced Warfare and intense multiplayer modes, some gamers have complained that the series has failed to innovate over the years. For instance, the upcoming Black Ops III will feature a futuristic setting like its predecessor, which could be a disappointment for those who were expecting the series to go back to its Cold War roots. But those upset by the fact that the game’s setting is not that different from Advanced Warfare will be glad to hear that Black Ops III zombie mode will be set in a “1940’s film-noir era” according to developer Treyarch. And this year’s zombie mode, which Treyarch has titled “Shadows of Evil”, will feature four original characters: The Magician, The Femme-Fatale, The Cop and The Boxer, who will face a mysterious figure known as the Shadow Man. Of course, no Call of Duty zombie mode would feel right without top-notch voice talent to back up the action, and thankfully Black Ops III will feature a phenomenal voice cast including the likes of Jeff Goldblum, who became a star in the 90’s starring in films like Spielberg’s Jurassic Park. But the novel zombie mode is not the only noteworthy thing about the upcoming Black Ops III, as the game’s Collector’s Edition will include an actual working fridge. It will certainly come in handy for keeping drinks cool during those long multiplayer sessions with friends, and this mini-fridge can hold 12 cans of your favourite drinks. It’s also a great thing that 4 coasters branded “Perk-A-Cola” (the fictional drink in Call of Duty’s zombie modes) are also bundled-in – so no more worrying about unsightly water rings, then. The Collector’s edition also includes a bonus map for the game’s zombie mode, which is a remake of fan-favourite map Der Riese from the World at War Call of Duty game. Although those players who are not into video game collectibles can settle for the less glamourous Digital Deluxe edition, which also includes the bonus zombie map. 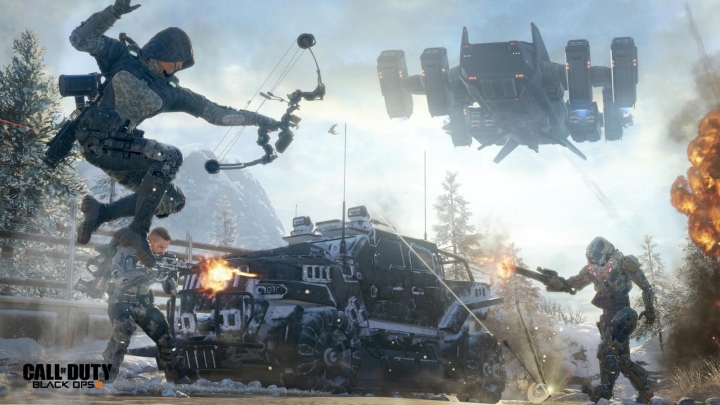 But if one thing is clear, is that Call of Duty: Black Ops III is certainly one of the most eagerly awaited games of the year, and will likely offer plenty of enjoyment to Call of Duty fans come this fall. Release date: November 6, 2015. Available on PS4, Xbox One, PS3, Xbox 360 and PC. (might be available on the Wii U in the future).